Indianapolis – Donna Jean Scribner, 75, went home to be with the Lord Tuesday, July 3, 2018. Ms. Scribner was born December 2, 1942 in Beech Grove, IN to the late James Odus and Effie Grace Cantrell. 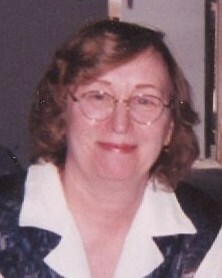 Prior to her retirement in 2005, she was employed by Family First where she served as a caregiver for 23 years. Ms. Scribner was a member of Tabernacle of Faith Pentecostal Church in Indianapolis. Her family described her as a caring woman who loved serving others. Ms. Scribner is survived by her partner, Mary A. Wilbur; sons, DJ Scribner and his wife, Rhena, Ronald Scribner and his wife, Debbie and Robert Scribner and his wife, Cheryl; sister, Phyllis Brenay; 10 grandchildren; and many other loving family members and beloved friends. Ms. Scribner’s family will receive friends Saturday, July 7, 2018, from 10 am – 12 pm at Tabernacle of Faith Pentecostal Church, 801 South Shelby Street, Indianapolis, IN 46203. A celebration of her life will follow at 12 pm with Pastor Terri Mullinix officiating. A committal service will be conducted privately at Ellettsville Presbyterian Cemetery, Ellettsville, IN. Add your memories to the guest book of Donna Scribner.